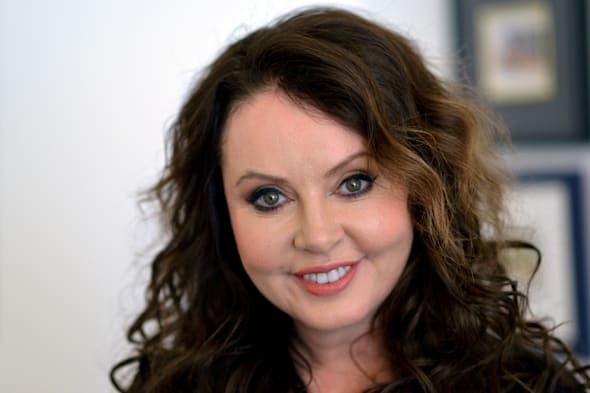 Opera singer Sarah Brightman has revealed she is training 16 hours a day as part of her mission to perform in space. The English-born soprano is enduring the gruelling regime, which includes four hours a day of Russian lessons, at Star City, the top space training facility in Moscow Oblast. "It's like conducting an orchestra or performing a show," she told The Sunday Times. "It may seem a strange analogy but it's the only analogy I have. Words PA.
"If you are conducting an orchestra you can't just understand a bit of it and a few notes here and there. You have to understand the whole thing from A-Z." Failure is not an option for Brightman, who is tested once a week by Star City's top brass in a verbal exam. "It terrifies me. I haven't been tested on things since I was a schoolgirl. To be in front of a group of people explaining what happens on a Soyuz control panel or explain the life support system alarms - it's pretty scary." The Cats and Phantom of the Opera star said Canadian astronaut Chris Hadfield has emailed her tips on singing in space. Hadfield became a viral sensation in 2013 after performing David Bowie's Space Oddity from the International Space Station. She said her training as a dancer and singer left her well prepared for the physical challenges of living in space. "I feel sort of trained for it just because of what I do in my life," she told the paper. "People in Britain maybe don't know what I have been doing for the last 20 years, but I have had a pretty full-on career all over the world. "That's what I do. It's gruelling but I love it. I feel designed to do it and it works. Without it, I wouldn't function that well. "I wish we had more of a lifetime to get things done, but we have the life that we do." Brightman is expected to take part in a tourist flight to the International Space Station later this year. The opera star, who has sold 30 million records globally, also revealed that she once forgot she owned a flat in Manhattan. She said: "I was staying in a hotel (in Manhattan) with a friend. We had been out to lunch and I said, 'for goodness sake, what am I doing? We're staying in a hotel and I've got an apartment here'. "I went and got the keys from the realtor and came in and had a look...I don't spend much time in it, but when I do, it's a godsend." "Tonight's Finale: The Richat Structure. A giant gazing eye upon the Earth." "To commemorate the passing of the Iron Lady, in the centre of these London lights is #10 Downing Street." "The Australian Outback is effortlessly crazily beautiful." "The effortless natural art of the southern Sahara." ​"The beautiful and violent ugliness inside a naked volcano. Chad, Africa." "Beijing just after sunset. I'm still trying to spot the Great Wall, but it's hard as it's narrow and dun-colored." "A heraldic Spring dragon of ice roars rampant off the coast of Newfoundland." "Dr. Seuss-inspired swirls in the Black Sea." "Little farmers, big farmers and nature, in Turkey." "Big storm swirling off the Irish coast on 9th May." "A sunny day in Scotland"
"To some this may look like a sunset. But it's a new dawn." "Hope you Bruins play a memorable game tonight vs the Leafs."